Kerry made it back to back home wins on Sunday with a comprehensive win over Limerick Fc. After an excellent start Kerry somehow found themselves behind after fourteen minutes when ex Tralee Dynamos player Darragh Lowth curled in a great effort from the corner of the eighteen yard box. Kerry’s response was excellent and following a sustained period of pressure Kerry won a corner. Thomas Burke swung it towards the back post where Sean Carmody headed back across the box and James Rusk was quickest to react to level the game after 22 mins (Click here to see the goal ). Six minutes before the half time break Kerry struck for the lead when Dillon Robinson scored from the edge of the eighteen yard box after some good build up play involving Martin Coughlan and Thomas Burke ( Click here to see the goal ) . Kerry came out in the second half and continued to dominated proceedings and extended their lead after just six minutes. 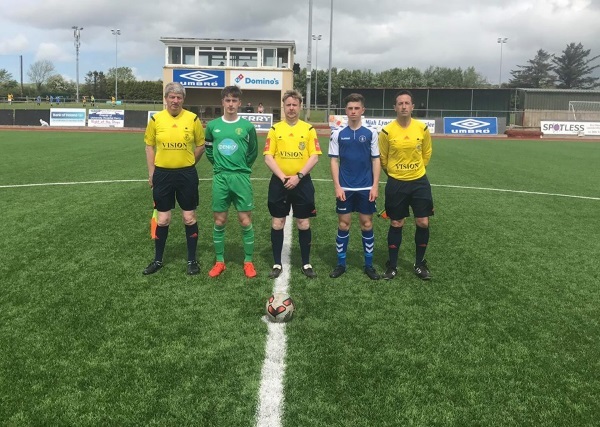 Again Thomas Burke was involved in the build up work before Dillon Robinson picked out Martin Coughlan with a perfectly weighted chip and Martin made no mistake with his volley giving the keeper very little chance of stopping it ( Click here to see the goal ) . At 3-1 Kerry’s keeper Alex O’Connor had to produce a fantatsic save to maintain Kerry two goal lead when he when full strethch to his left hand side fingertipping the ball around the top corner of the goal frame . Just before the hour mark the game was made safe when Adria Miravet scored following a well worked one two with Dillon Robinson ( Click here to see the goal ) . Kerry made it 5-1 with fifteen minutes remaining when John Hayes made no mistake after some excellent high pressure from Kerry on the Limerick defence ( Click here to see the goal ) . Kerry had a few more chances in the remaining minutes to add to their tally but will be very happy with this performace against a side who had beaten them four times last season . Kerry manager Darren Aherne said it was “An amazing team performance from everyone . First time to score 5 goals in an Airtricity league game. To have 5 individual scorers was great for the group. Great self belief has developed within the squad. Already looking forward to Wexford away next Saturday in Ferrycarrig Park. 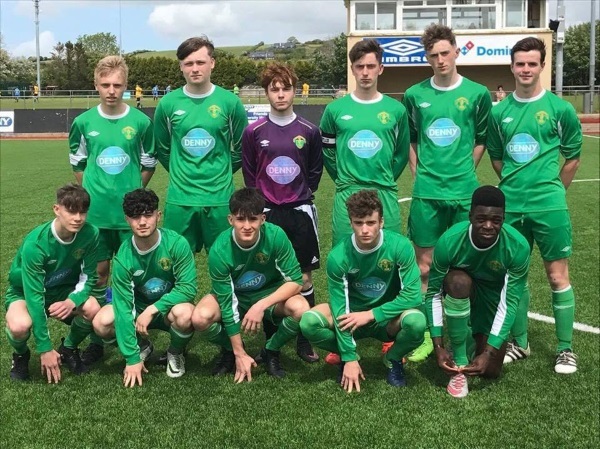 Thanks again for all the support at Mounthawk, see you all on the 28th for the visit of Shamrock Rovers, bring a few extra supporters everyone and we will give the table toppers a right Kerry welcome”. 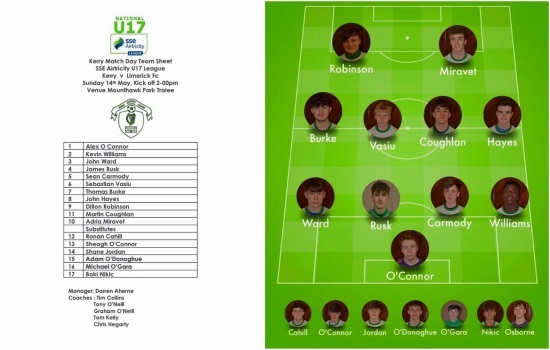 Kerry starting XI against Limerick Fc in the SSE Airtricity U17 League . Back Left to Right ; Sebastian Vasiu , Dillon Robinson, Alex O’Connor, Sean Carmody, James Rusk, John Hayes . Front Left to right ; John Ward, Thomas Burke, Martin Coughlan, Adria Miravet , Kevin Williams .